The computing resources can be accessed anonymously for certain tools or after authentication (command line, Galaxy portal, GoDocker, cloud). The cluster is based on forty servers using the SGE task scheduler. This computing ensemble is associated with two storage areas: a high performance space of 110 To and a NFS conventional space of 1 Pb. 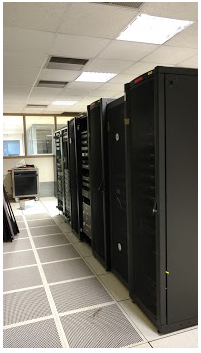 The Genostack infrastructure consists of 8 servers with 224 cores with a total of 650 GB of memory. This set is associated with 8 TB of stockage. Several preconfigured images are made ​​available to users.